Are noise and distractions in the workplace keeping you from getting your job done? Treat yourself to some much-needed concentration time with “Focus on Work” – a free, 90-minute soundtrack, courtesy of Jabra and Restworks. I appreciate the comment, and I agree that “Focus on Work” is a great tool for getting more done on the job. Most experts agree that music can have a powerful effect on our well-being. Studies show that listening to soothing sounds lifts our mood, calms our nerves and alleviates the perception of pain. So it’s natural to expect that this type of music would have a powerful effect on us in the workplace as well. One of the first things you’ll notice when you listen to “Focus on Work” is an abundance of natural sounds, particularly the singing of birds. This connection with our natural world is vital to helping us relax at work. Why? Because of how our brains react to the noises we encounter during the workday. Our body’s response to noise traces back to when humans began roaming the earth. Think about loud noises – such as your alarm clock in the morning, the rattling of a jackhammer or the din of the open office. These sounds evoke an instinctive fight-or-flight reaction in our brains, causing a release of chemicals that stimulates immediate action. This reaction has been instrumental to our survival for eons, and remains so to this day. The loud honk of a car horn immediately stimulates our brain and body to respond quickly and get us out of harm’s way. Constant exposure to too many loud noises and too much commotion – as we’d find in the workplace – can overload us with stimulating chemicals, keeping our brains in a constant state of fight-or-flight. As a result, our blood pressure remains elevated and we stay hyper alert, causing stress and reducing our ability to concentrate and work productively. Now contrast those loud noises to the softer sounds of birds singing. Many experts are convinced that these sounds are reassuring to humans because over thousands of years of evolution we’ve learned that the sweet melody of birds merrily singing is an indication that our environment is safe. This feeling of security in turn reduces our blood pressure, enables us to concentrate better and helps us think more clearly. 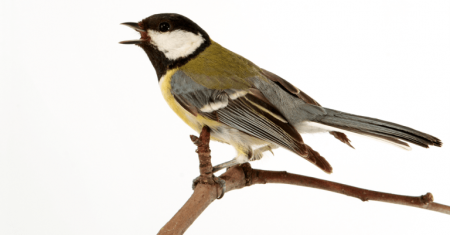 Other sound experts have a different theory on why bird songs tend to relax us. They believe that it’s because they’re stochastic – made up of lots of random sounds – with no repeating rhythm or pattern. Because of this randomness, our brain tends not to focus on the song itself but rather the task at hand. So join me in streaming “Focus on Work,” and let’s relax, focus and get our jobs done! Be the first to comment on "Jabra Blog: Why Bird Sounds Make Us More Productive"